If you are having a hard time keeping up with loan repayments or if you have neglected to pay some of your bills then you may be visited by a bailiff. A bailiff is a person who has the legal power to collect specific debts. They can do this by requesting a payment on what you owe or by confiscating and selling your possessions to pay off the debt. A bailiff can be employed by a private company or he can be a court official. When you receive any paperwork from a bailiff you may also notice the term enforcement agent. An enforcement agent is simply another term for bailiff. A bailiff may visit your home and see whether anything is worth selling so that you can salad and pay off the debts you owe all as well as the bailiff’s fees and charges. A bailiff is primarily used when a creditor has tried to collect money from you but all efforts have proven unsuccessful. The creditor will normally provide you with a warning that they are in the process of retaining the services of a bailiff so as to get you to repay what you owe. It would be in your best interest to make an arrangement with your creditor prior to this action being taken. A bailiff cannot be used on every type of debt but only on specific debts. Some of those debts that a bailiff can act upon include a high court judgment, child support, income tax, compensation orders, magistrate’s court fines, maintenance, parking penalties, business rates and council tax. 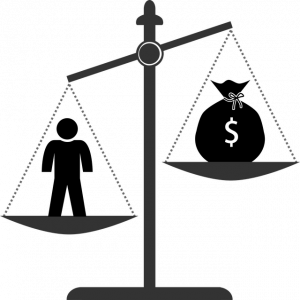 It is important to note that there is a difference between a debt collector and a bailiff. A debt collector does not have the same legal powers that a bailiff does.